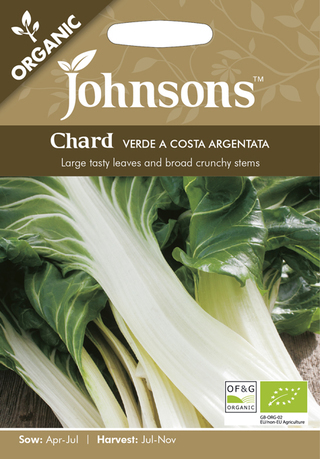 Organic seed of all the most popular vegetable categories are now available in the Johnsons range and all have been approved by Organic Farmers and Growers Ltd, one of the UK’s largest organic control organisations. The extended range is ideal for those gardeners who choose to use organic growing methods, by which the seed is not exposed to any chemicals at growth, harvesting or processing stages. And just like standard seeds, you don’t need a large space to grow organically – a window box or patio pots can be just as productive. 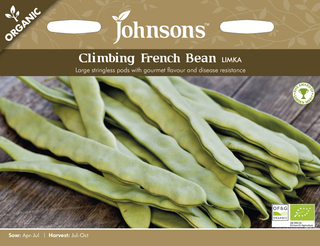 New varieties added include versatile Chard Verde a Costa Argentata (RRP £2.15 for 125 seeds), nutritious Kale Westland Winter (RRP £1.85 for 40 seeds) and highly productive Climbing French Bean Limka (RRP £3.45 for 50 seeds).